Inspired by Elsie’s “10 Things I Love Sunday” (see her’s here), I’m going to start posting ten things I love too, but on Wednesdays. 1. My Ugg moccasins that I got for my birthday this year. Now that I’m back in South City and fall is in full swing, I’ve been getting more chances to wear them. 2. Old Navy new flip-flops that look and feel like Havaianas but are waaay less expensive. I can still wear these here in the fall, too. Fall is a wonderful season. 3. Instant milk tea mix. I love milk tea, so Tiff got me some of this and I fell in love. 4. 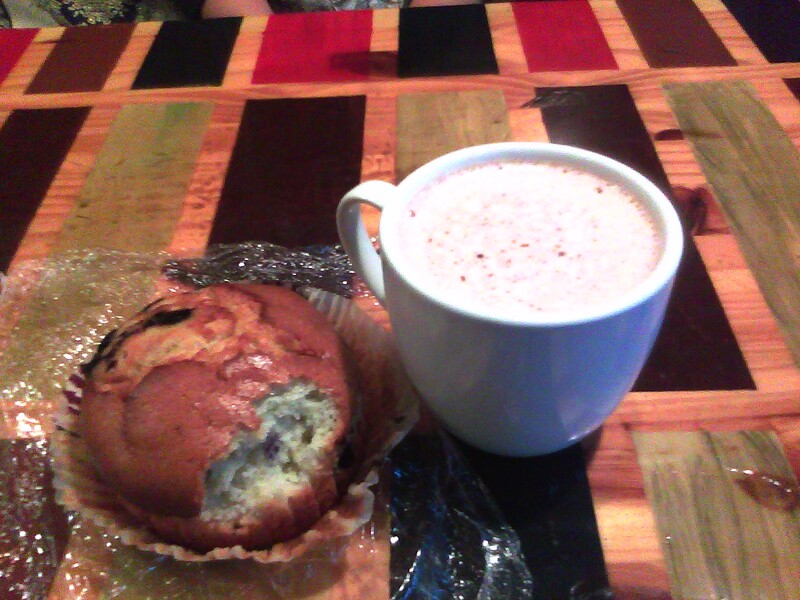 Mexican hot chocolate from Cafe Petra (along with a Costco blueberry muffin.) Sarah and I were hanging out in the Mission last week before community group, and decided to try this place out. I just may have found a substitute for my Caje hot chocolate that I love so much. 5. My latest nail polish acquisition: Sally Hansen Hard as Nails Xtreme Wear Nail Color, Gunmetal. This nail polish has become one of my favorite brands, and I’ve been really into metallic-y nail polishes lately. 6. These new H&M scarves that Stephanie bought and lets me borrow. 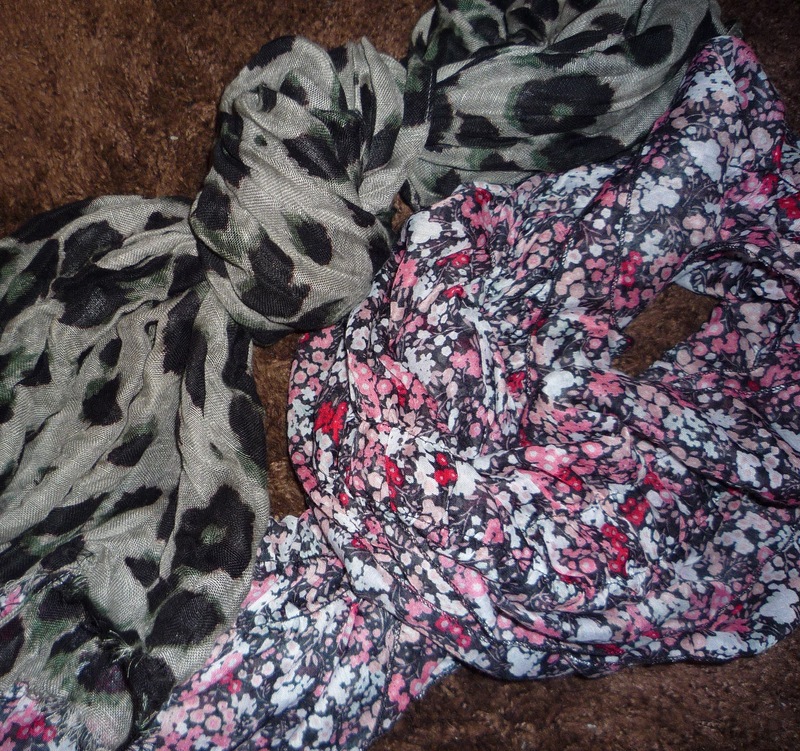 Yay for scarves! And yay for a sister who shares! 7. 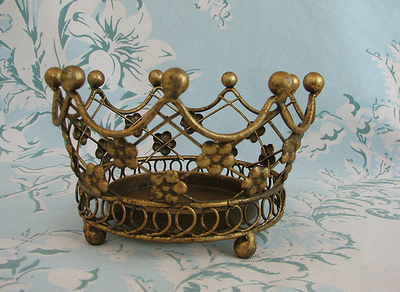 This crown candleholder that I saw on MadeByGirl. It holds a candle. And it reminds me of Sleeping Beauty. Double greatness. 8. My invisible ink pens. 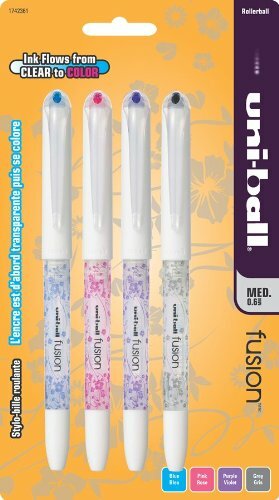 The ink inside the pens looks invisible, but then when you use them, the color comes out. Besides that, there really isn’t anything all that special about them, but I can’t help but love them. Maybe the fact that I discovered them in Target in a spot where they didn’t belong adds to this love. 10. This commercial. What is Subaru doing to me?? hahawow THIS is why you came into my room at 1:30 in the morning. I was just falling back asleep too. I like this list alot! I like how every itemhas a picture, and that commercial is SO adorable… man they are good.